Today we’re excited to welcome a new store to Diggin’ Melbourne. Hunter & Co Vintage is the latest addition to our online store guide (find their listing in the Inner-North section of the Store Guide page). Hunter & Co currently stocks around 25 crates of quality second-hand vinyl – 50’s to 90’s Pop, Rock, Jazz, Blues, Indian, Metal, Punk, Soundtracks and also some $5 bargain crates. 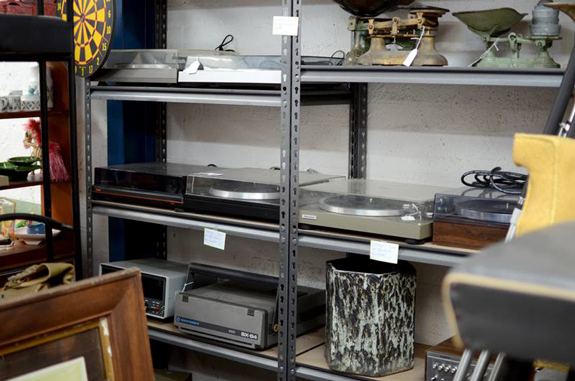 Hunter & Co Vintage also stock a selection of turntables & audio gear, mid-century/vintage furniture and collectables, plus a few racks of vintage clothing for the ladies (or gents 😉 ). We’re also sad to see Pure Pop close the door of their St. Kilda store for the final time. 221 Barkly St has long been a digger’s paradise – since back in the days of Raoul Records with Ben, Declan and Carl through to it’s most recent incarnation as Pure Pop. Dave assures us Pure Pop will be back as soon as a suitable location is found. You can read more about the forced closure and keep up-to-date with Pure Pop here. The downloadable PDF of the Diggin’ Map does not include these latest additions or closures – so make sure you check the online Store Guide for the updated listing.